"It is hard to think of anywhere on earth where so many firsts and mosts are crammed into a space so small", Barry Unsworth writes of the isle of Crete. Birthplace of the Greek god Zeus, the Greek alphabet, and the first Greek laws, as well as the home of 15 mountain ranges and the longest gorge in... read more Europe, this land is indisputably unique. And since ancient times, its inhabitants have maintained an astonishing tenacity and sense of national identity, even as they suffered conquest and occupation by Romans, Byzantines, Arabs, Venetians, Ottoman Turks, and Germans. Throughout this evocative book, Unsworth describes the incredible physical and cultural proportions of the island - in history, myth, and reality. 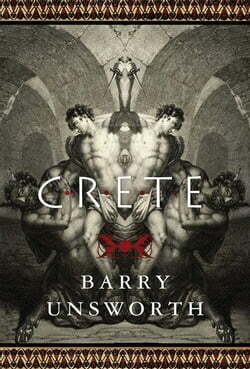 With the same keen eye and clear, eloquent prose that distinguishes his acclaimed historical novels, Barry Unsworth delivers his readers a two-fold traveler's reward, at once a wonderfully detailed panorama of Crete's many layers of history and an evocative portrait of an island almost literally larger than life.